Deer have a remarkable sense of smell. In fact, it’s estimated a deer can smell at least 1,000 times better than a human. Although this keen sense of smell can alert a deer to a hunter’s presence, the smart hunter also can use a buck’s sense of smell and his desire to mate to his or her advantage. Dr. Steve Ditchkoff,professor in wildlife ecology and management at Auburn University, says female whitetails are only receptive to breeding for a 24-hour window each season. For this reason, it is imperative that a buck be able to locate and mate with the receptive doe during this short time span to ensure genetics are passed on to the next generation. He does this by using his nose. If a buck smells a female in estrous, he is going to dedicate 100 percent of his attention to her until she is no longer in estrous. 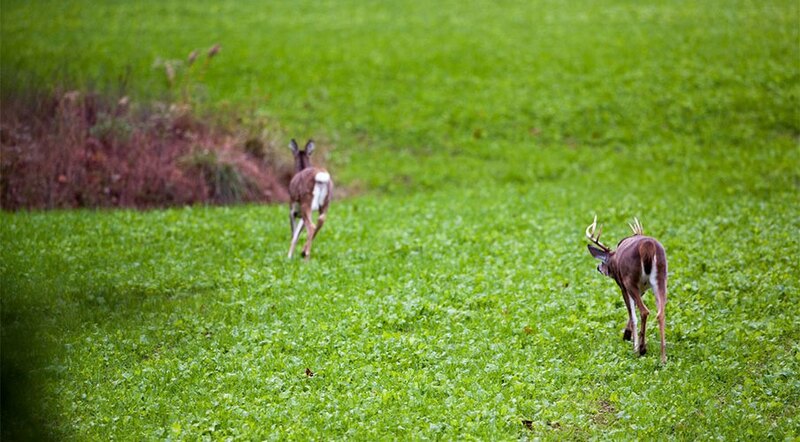 For this reason, scent products like Code Blue’s Doe Estrous, work effectively for drawing bucks into shooting range. 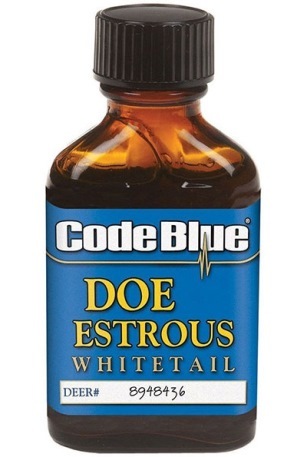 Ditchkoff said Code Blue’s Whitetail Doe Estrous is an effective product on the market because it produces a more natural scent. Doe Estrous can be dispensed by using Code Blue’s Drag Rag, which lets you create a convincing scent trail by dragging the rag to your hunting stand. The scent can also be dispensed using Code Blue’s Scent Shot Scent Wick Canister. When you're ready to hunt, just squeeze the top tabs and pull up to expose the wick and send scent streaming in the air. Code Blue’s Temptation Electronic Scent Warmer electronically heats your deer scent to a deer’s actual body temperature to enhance its natural attraction. Ditchkoff said many hunters use estrous scent attractants during the rut, but he believes the attractant is more effectively used during the post-rut and pre-rut. Code Blue’s Whitetail Doe Estrous is proof that although a whitetail’s remarkable sense of smell can create a challenge for hunters, smart hunters can use scent to outwit even the most cunning buck.